Try this leather dog harness for pulling, walking and training of your Tibetian Mastiff. Colors: black and brown. 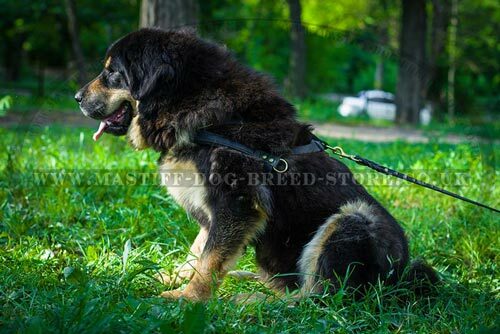 Strong leather dog harness is a perfect choice for a giant dog like Tibetian mastiff. It will make your dog feel comfortable in walking and training still being under your control. Dog harness does not pull on dog's neck. It is considered a more comfortable and safe tool for dog walking and training. 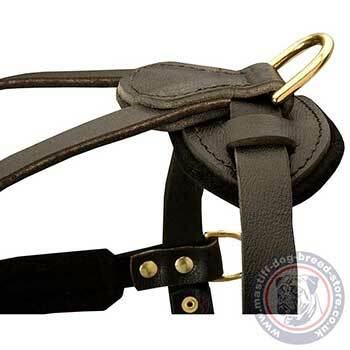 Leather dog harness is made of thick, well done natural leather. Its edges are round smoothened to prevent wearing our and make it look nice for as long time as possible. Leather is well done and impregnated. But special care as for any item of natural leather is required to make it serve you longer. Proper care with leather conditioners prevents cracking and callosity. This leather dog harness has a special design for weight pulling exercises and sport. Tibetian mastiff as well as other mastiff dog breeds has a giant muscular body. The muscles of your dog need training to keep fit. Weight pulling dog harness is a perfect tool to train your dog and entertain yourself! It may be used for sledding in snow. Your Tibetian Mastiff probably has enough power to pull you on sled. It is a great way to train dog muscles. Or you may use a weight pulling device (for example, a wheel on straps) and attach it to the side D rings. They are very strong, solid welded and made of rustproof brass. 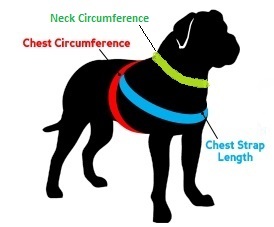 The strap that goes along dog's chest is padded with soft felt to protect dog from rubbing while pulling. 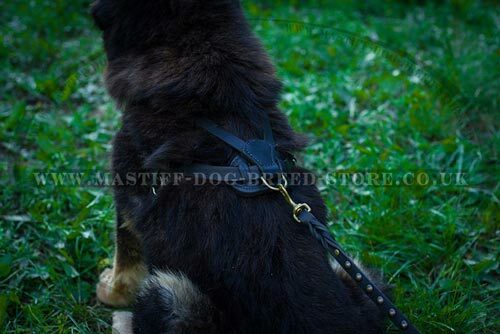 This strong leather dog harness is also used for daily Tibetian Mastiff walking. There is a D ring for lead adjusting at the back. Train the strength and physical form of your dog to keep it healthy and cheerful. Our strong leather dog harness for Tibetian Mastiff weight pulling sport will help you! 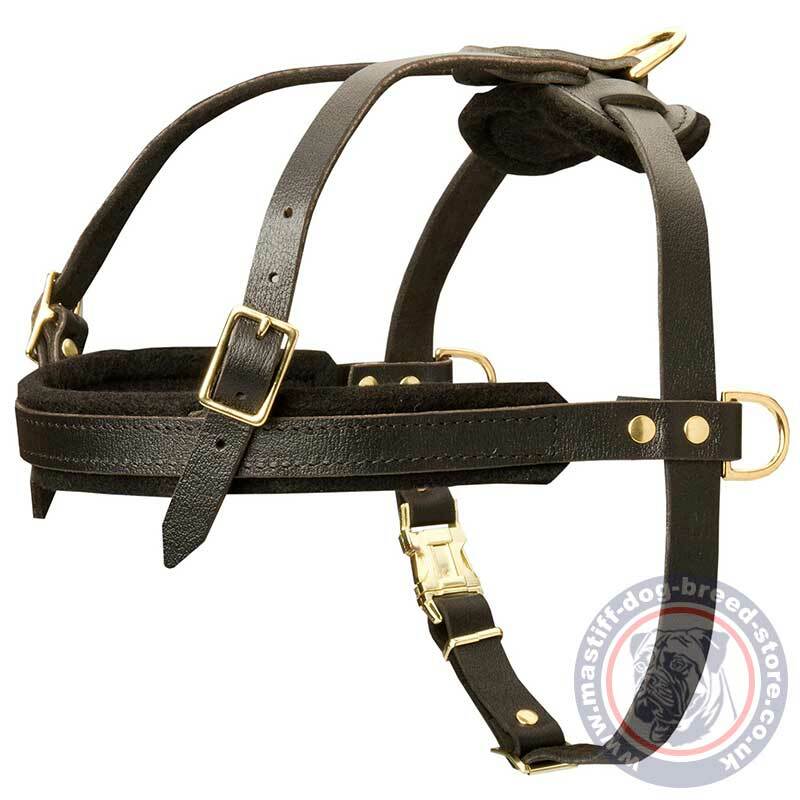 Train Your Giant Dog with a Premium Quality Leather Dog Harness!